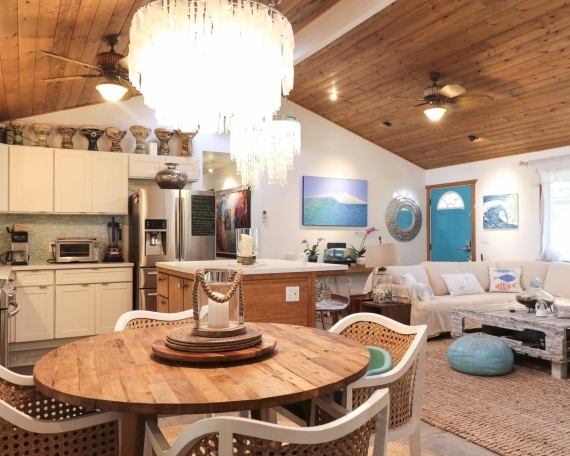 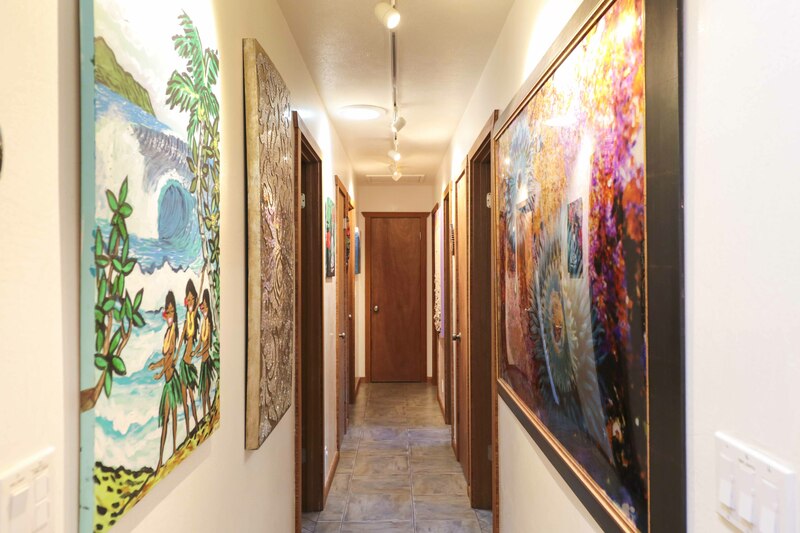 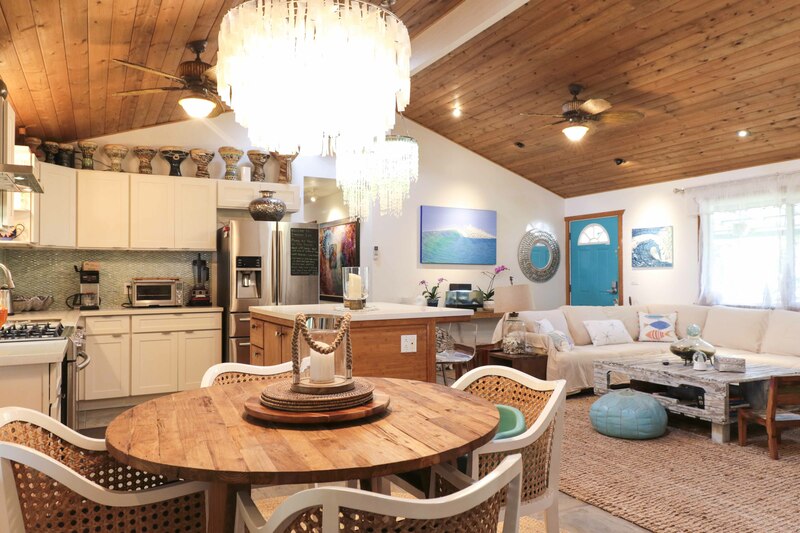 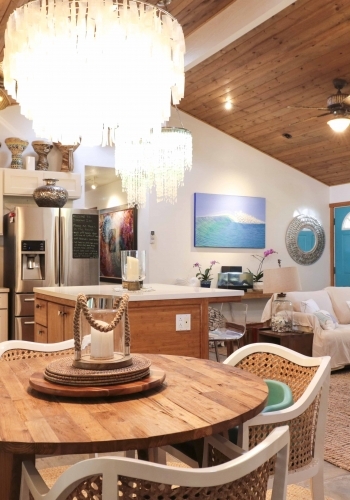 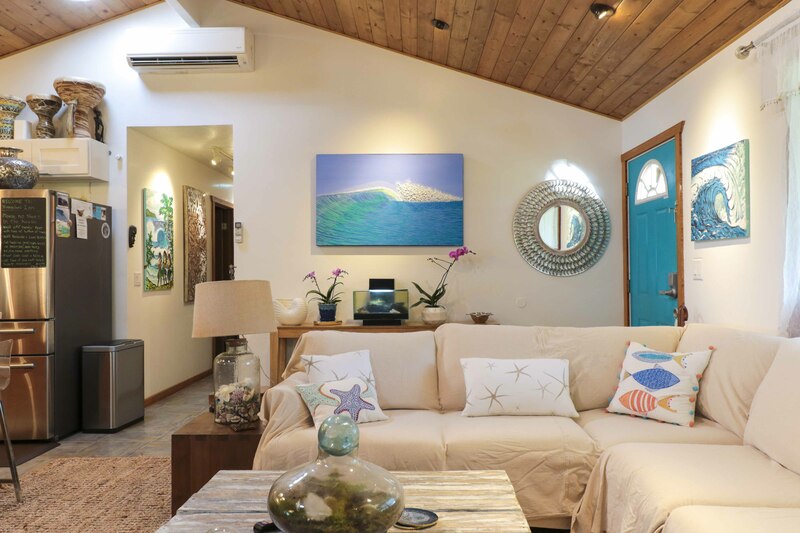 This newly remodeled private ocean view estate is within walking distance to some of Maui’s best beaches, restaurants and shops in the Historic Plantation town of Pa’ia. 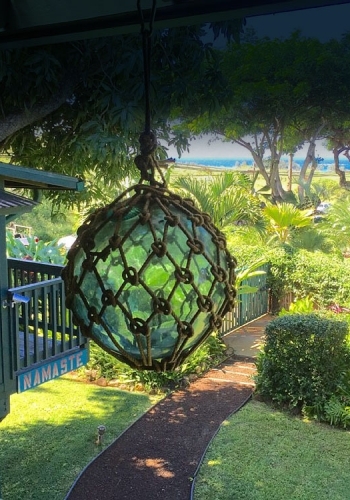 Recently voted one of the “happiest beach towns in America” by Costal Living Magazine. 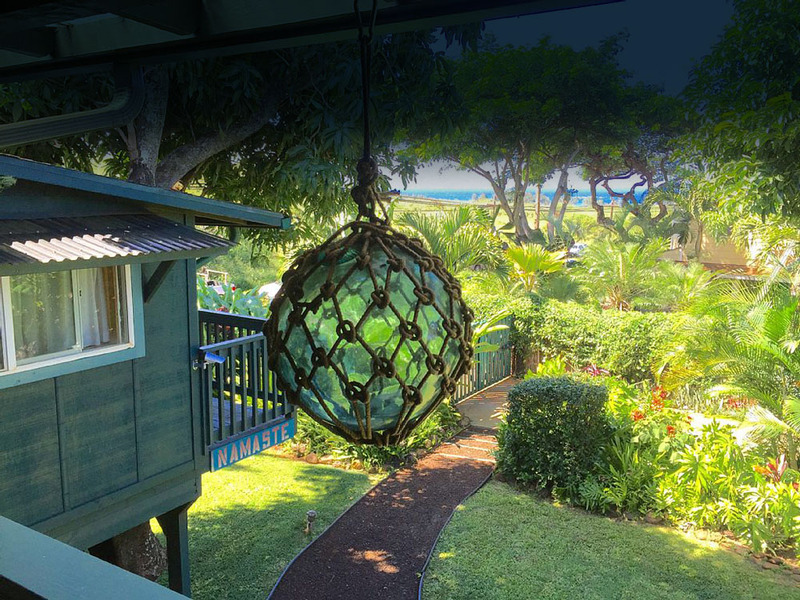 Our property offers stunning views of both the Ocean and Haleakala. 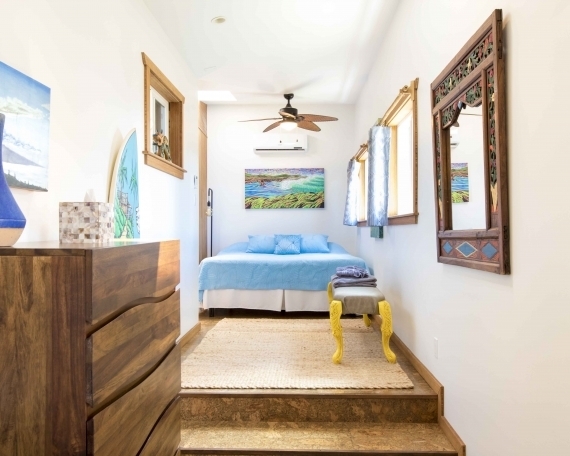 Baldwin Beach and Pa’ia Bay’s powdery white sands and crystal blue waters explain why they have been voted some of the world’s best beaches. 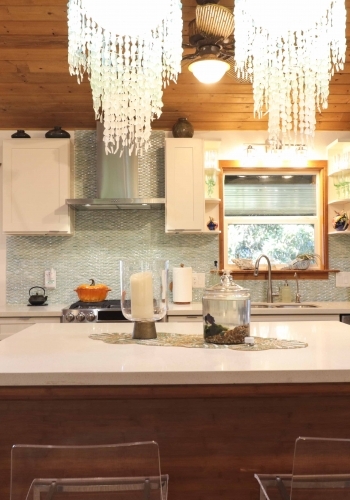 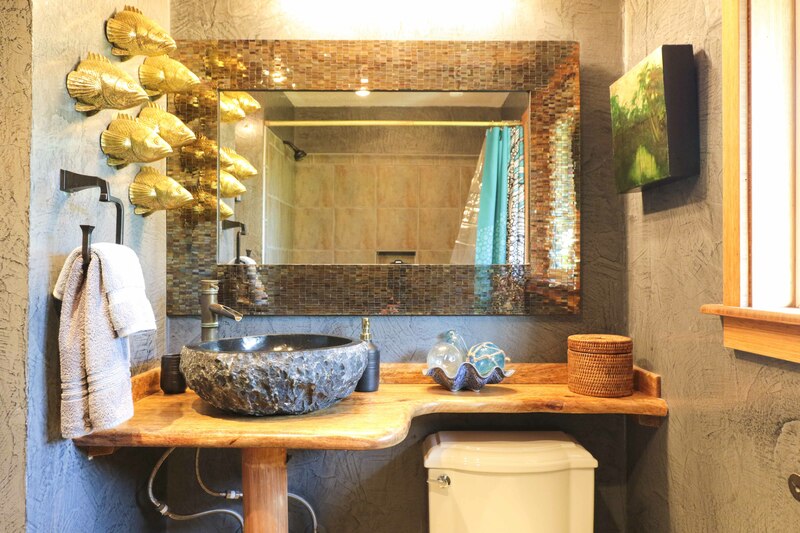 The house has tile floors, granite counters, bamboo accents. 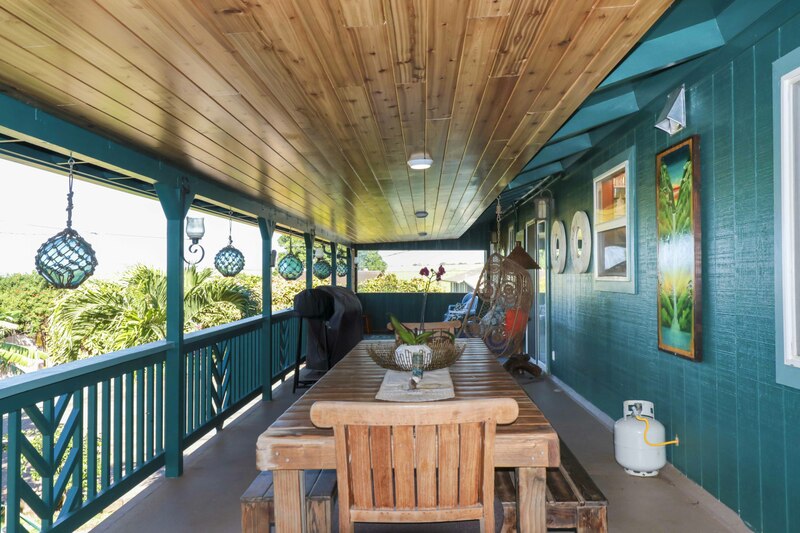 Sliding glass doors from bedrooms open out to a large covered ocean view lanai. 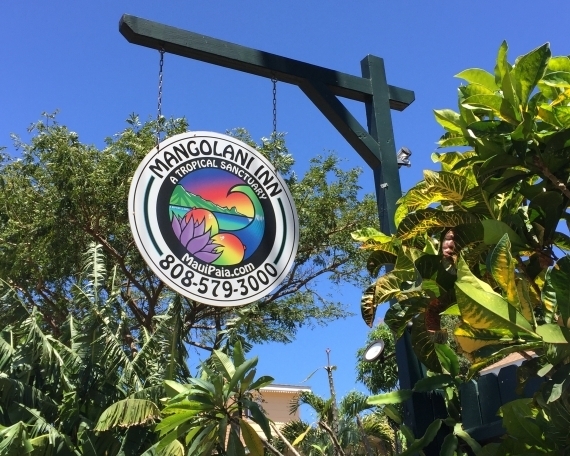 Enjoy the privacy and tranquility of our grounds complete with mango trees, avocado tree, bananas, passion fruit, and a variety of tropical flowers to pick. 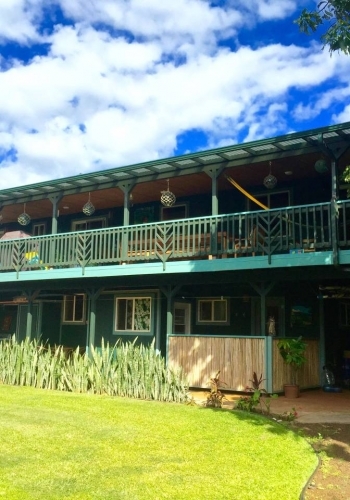 We have hammocks, hot tub, BBQ, laundry facilities, chase lounges, picnic tables, beach gear, bikes and surfboards. 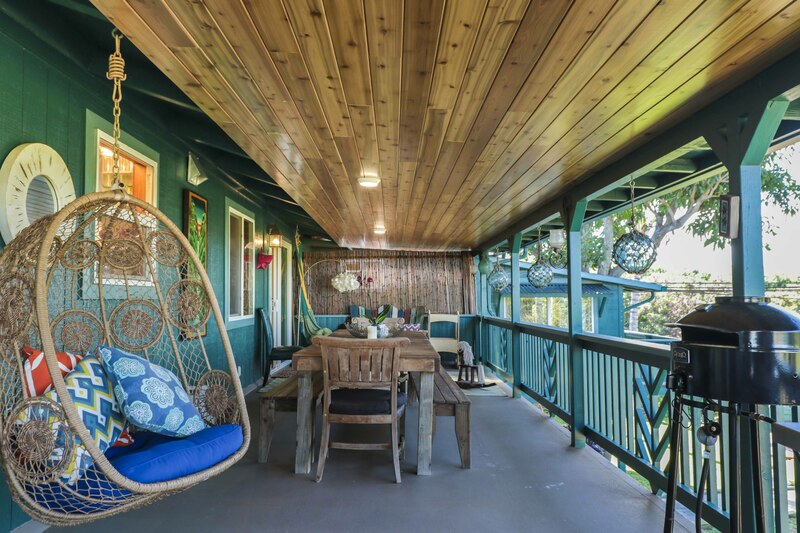 The property is completely fenced, secure and private. 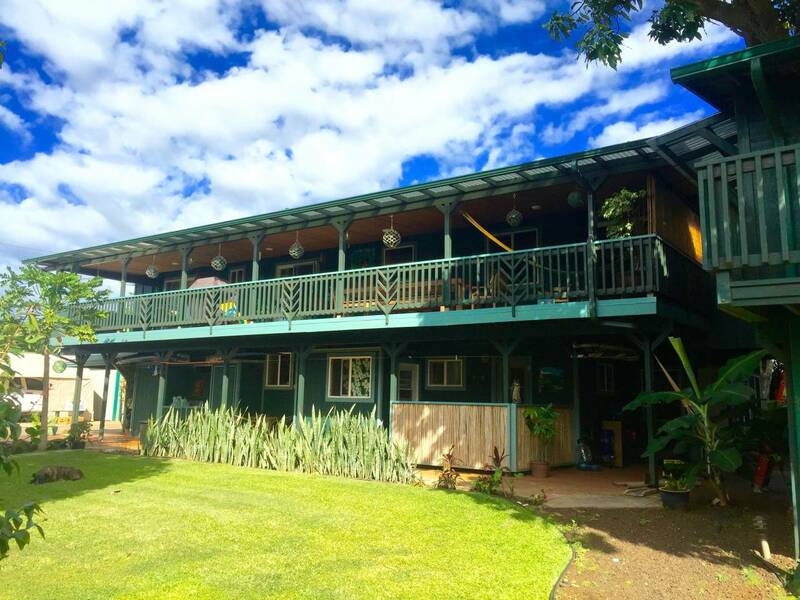 A security code is required to open the front gates and we have plenty of off street parking. 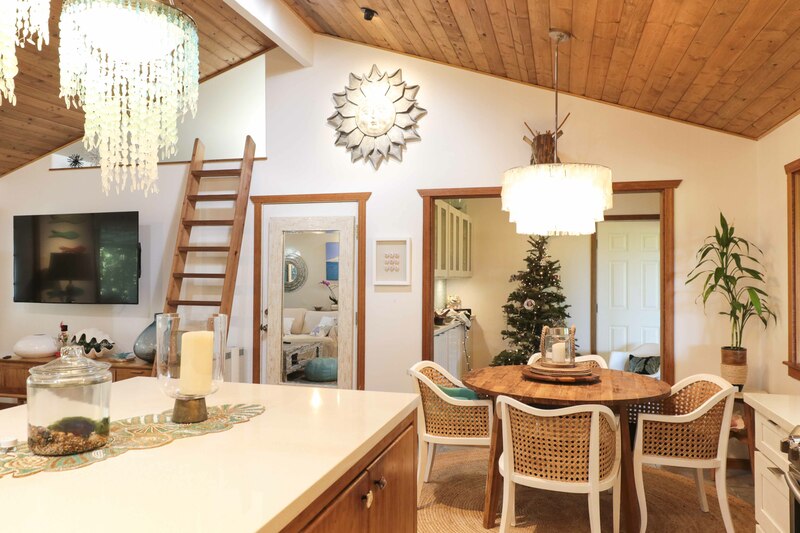 The upstairs has 5 bedrooms and a sleeping loft above living room. 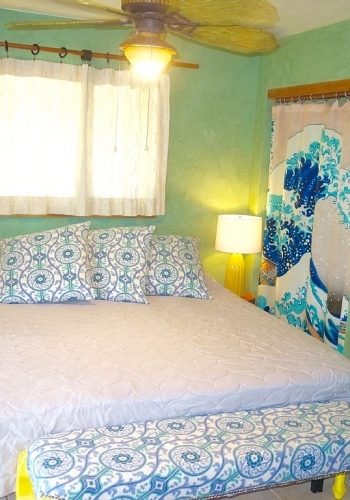 The master bedroom has a king size bed, and the 4 other rooms have queen sized beds wrapped in 650 thread count sheets. 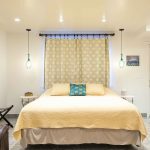 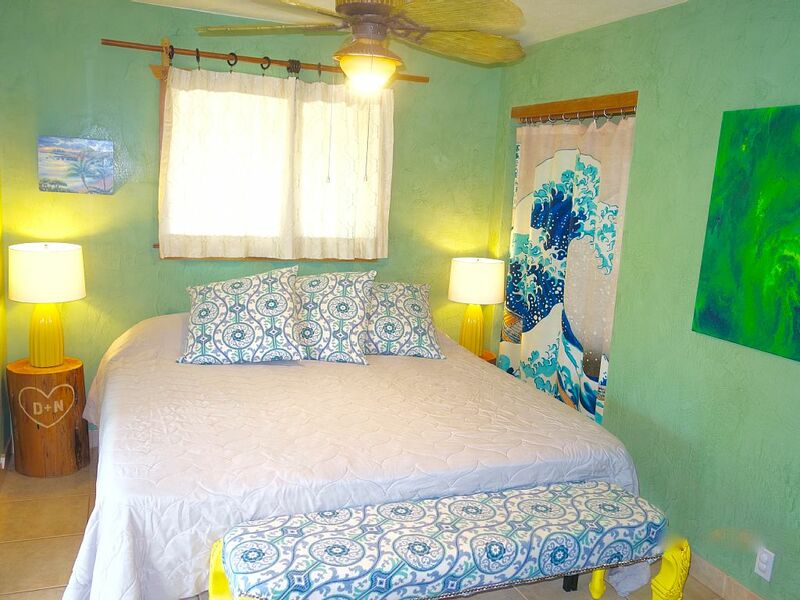 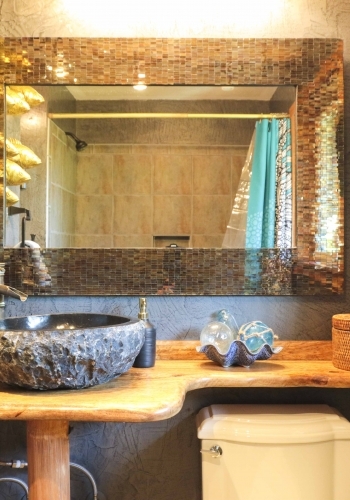 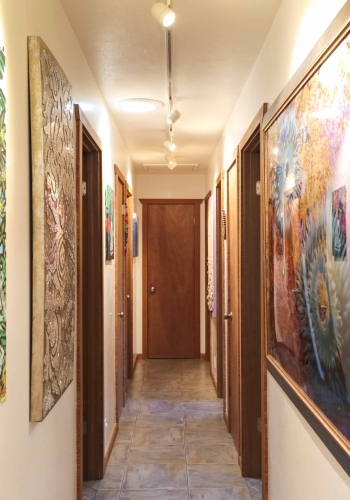 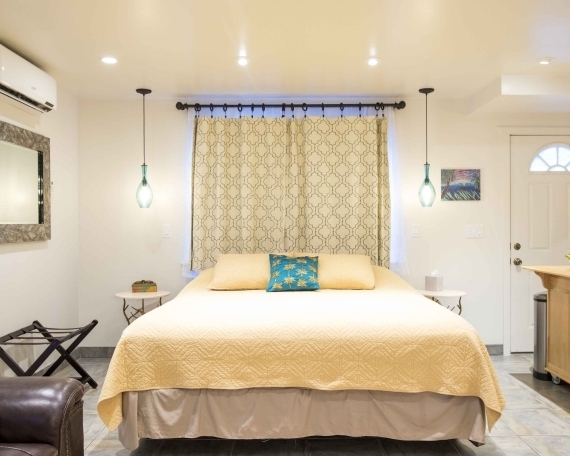 Three of the rooms share a bathroom and the master bedroom has its own private bathroom. 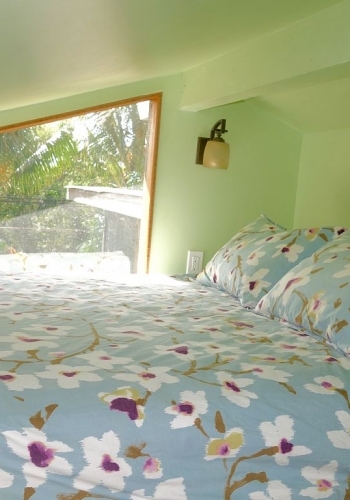 The fifth room is a treehouse built in the mango tree adjacent to the house. 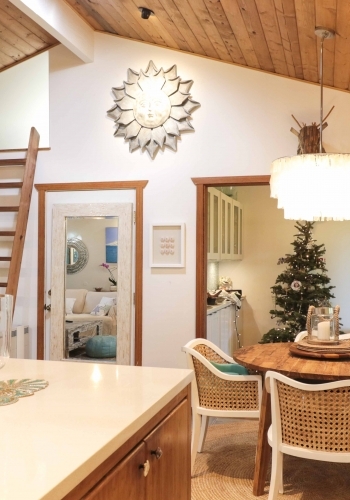 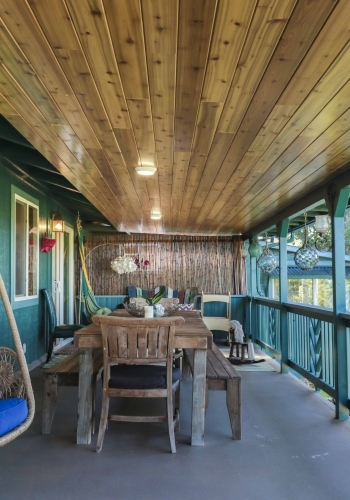 The Mango Treehouse is connected to the main house as a lock out unit that can be used as a fifth room or a private studio. 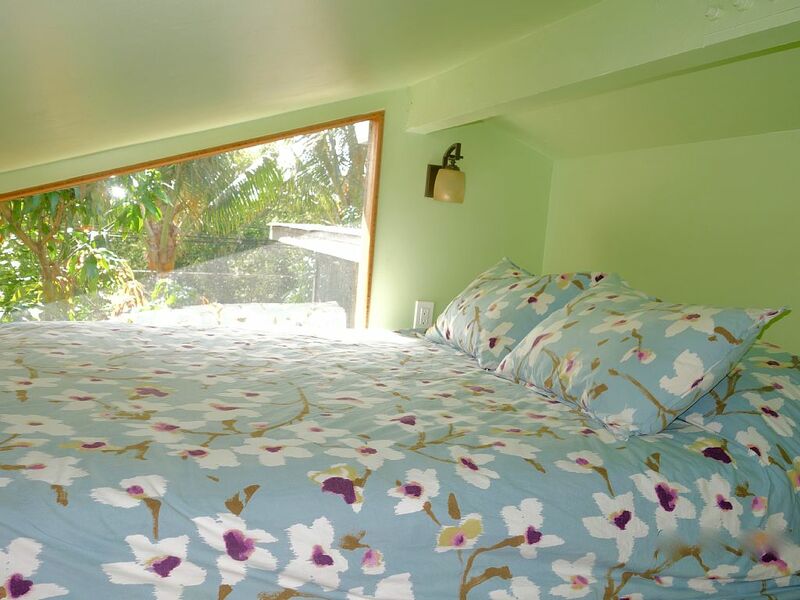 The Mango Treehouse has a queen size bed and sofa sleeper. 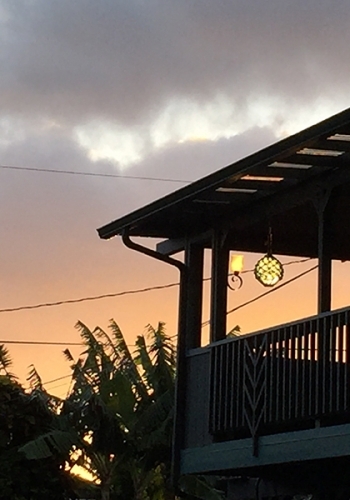 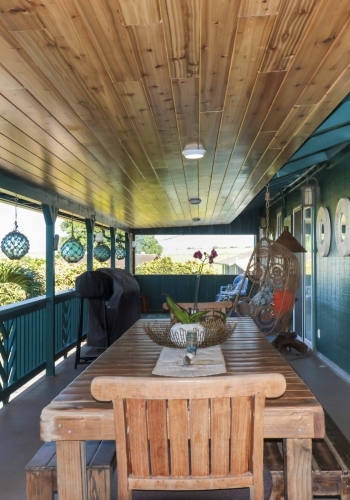 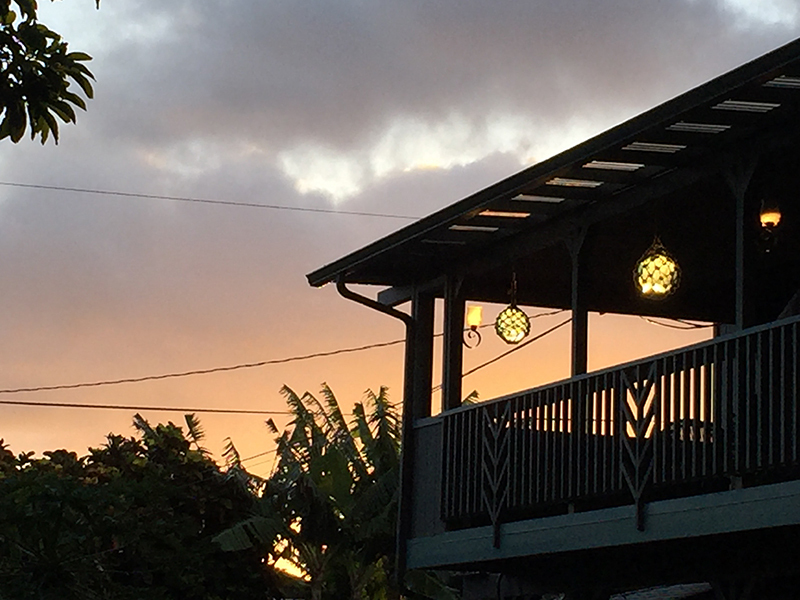 The upstairs house has a huge covered ocean view Lanai with BBQ and plenty of patio furniture to relax and enjoy the trade winds. 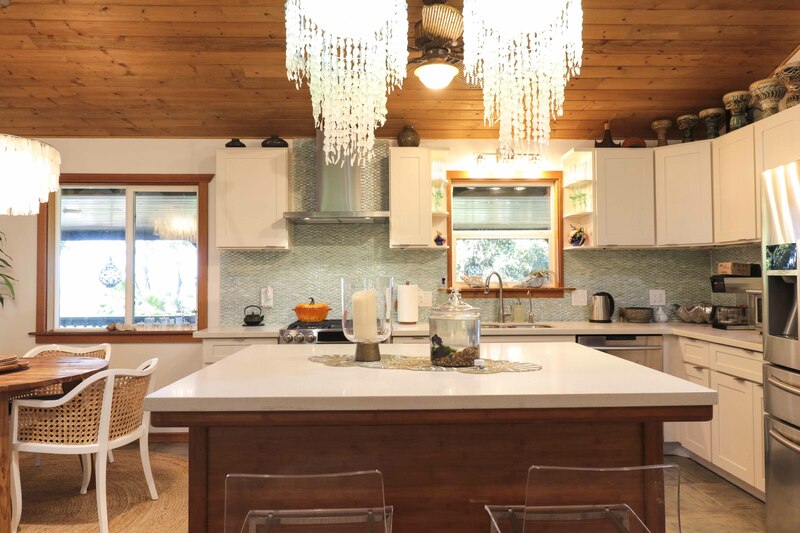 The large kitchen/living room is well equipped with everything you need to cook and entertain. 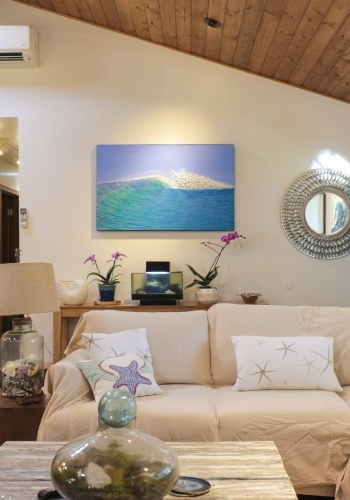 There is a 5 night minimum for advanced bookings.